A mysterious space rock, first spotted in 2017, bewildered astronomers — was it an icy comet, a rocky asteroid, or something entirely new? As the object, called ‘Oumuamua, hurtles away from us, the mystery may be solved: it’s accelerating like a comet. There’s debate over ‘Oumuamua’s identity because it’s not quite like anything we’ve seen before in our Solar System. Astronomers expected that the first space rock to visit us from outside our Solar System would be a ball of ice and rocks: a comet. After all, our planetary system flung icy objects into interstellar space when it was forming. Wouldn’t others, too? But there’s usually a cloud of dust and gas surrounding comets, and ‘Oumuamua didn’t appear to have one — which could mean it was made mostly out of rock and metal, like an asteroid. 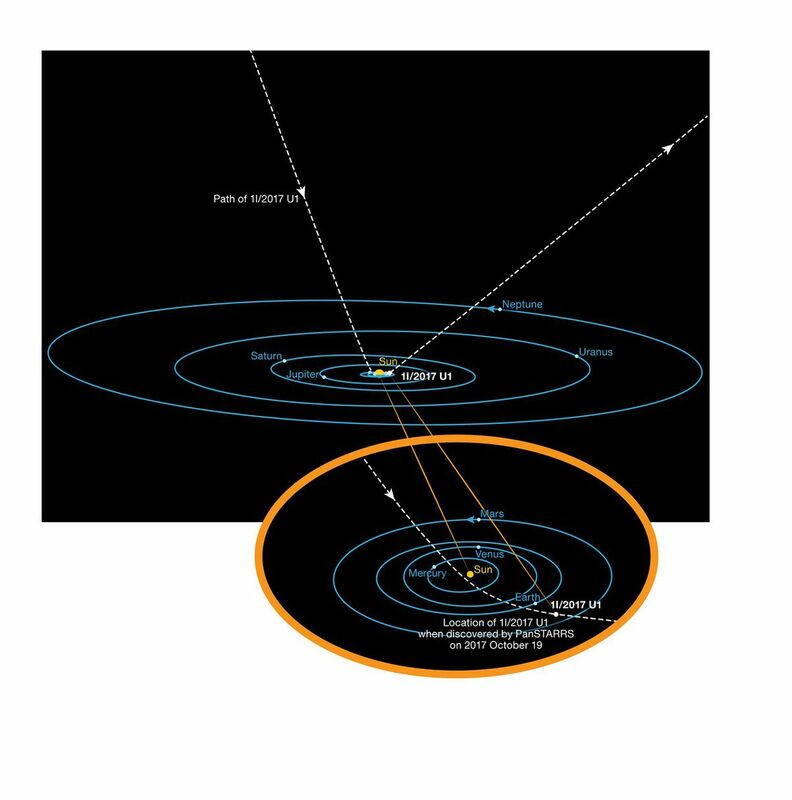 ‘Oumuamua’s trajectory into and out of the Solar System. As the space rock careened away from the Sun — and us — a research team led by Marco Micheli, an astronomer at the European Space Agency center that studies near-Earth Objects, tracked it. They discovered that ‘Oumuamua was accelerating, and interactions with gravity from the Moon, the Sun, and nearby planets weren’t enough to explain it. “There was something else that was pushing ‘Oumuamua out from the sun, so it was moving faster than it should be just due to gravity alone,” Fitzsimmons says. That’s exactly what you’d see with a comet. As the sun warms up a comet, its ice thaws to gas — just like dry ice does here on Earth. “So it’s this gas coming off of the comet that gives it a push,” says Karen Meech, an astronomer at the University of Hawaii and an author on today’s study. “That acts like little rocket thrusters.” That could explain ‘Oumuamua’s accelerations — although to be certain, the team explored other possibilities, too. Maybe the force of the sun’s radiation was giving the space rock an extra nudge. Or, maybe, the comet was magnetized, and was getting a push from the solar wind’s magnetic field. It’s also possible that astronomers were looking for the wrong gases. One gas that researchers would expect to see rising off of ‘Oumuama was cyanide, Meech says. “It emits light very strongly in blue colors, and no one saw it. If the chemistry was the same, we should have seen some,” Meech says. That means the space rock’s chemical makeup could be different from comets that originate closer to home — which is why this interstellar visit is so exciting, Meech says. “It gives us a glimpse of the process of building planets elsewhere,” she says.